Tamil Nadu governor C Vidyasagar Rao on Thursday invited E Palaniswami to be the next chief minister of Tamil Nadu. 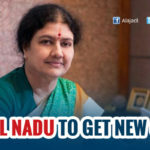 Palaniswami, a four-time MLA from Salem, was handpicked by AIADMK general secretary VK Sasikala to lead the party after her conviction by the Supreme Court in a 21-year-old corruption case. The AIADMK has been battling a power tussle between Sasikala and caretaker chief minister O Panneerselvam, who revolted against her last week. 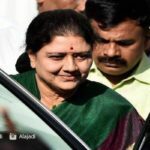 Before leaving for Bengaluru to surrender on Wednesday, Sasikala re-inducted relatives Dinakaran and Venkatesh into the party, years after they were expelled by the late CM J Jayalalithaa. 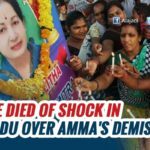 Her move was seen as a last-ditch attempt to hurt Panneerselvam, who has been expelled from the AIADMK. 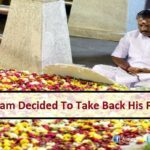 Soon after news of Palaniswami emerging as the next Chief Minister came in, supporters of Sasikala welcomed his elevation and hailed the Governor’s decision. MLAs staying at the Koovathur resort, about 80 km from Chennai, for the past one week amidst police enquiries of their well-being, were all smiles and also raised slogans, hailing ‘Chinnamma’ (Sasikala). hough the Governor held meetings with both the warring factions led by Panneerselvam and Palaniswami respectively during the last two days, he seems to have gone by the constitutional mandate on the support of MLAs’ to the Chief Minister designate, who claims to have the 124 legislators on his side. The new chief minister and his new cabinet will take oath at 4.30 this evening and he will have 15 days to prove he has majority support in the state legislature. Governor Vidya Sagar Rao had heard competing pitches on Wednesday night from Mr Palaniswami and acting chief minister O Panneerselvam for the top post.